Some quick pics I took of Indy. My Sideshow Indy arrived last night. At first glance I'm not that happy with it. The body is somewhat loose and wants to bend at odd angles as you handle the figure. It'll take a lot of work, and the stand, to achieve any type of decent looking poses. The neck post is ridiculously loose and Indy is either staring at the ceiling or the floor and it's almost a balancing act to get him to look straight ahead. The accessories are pretty decent, as is usual from Sideshow. The belt clip for the whip has magnets which is a nice touch. The out fit is pretty nice overall but fits pretty loose so it takes a lot of adjustment to get everything to sit right. I really like the alternate head sculpt but I didn't realize the hat didn't fit. Either I missed that in the description or it wasn't in there. I'd rather have a removable hat that fits the head rather than just another accessory. This makes two in a row I haven't been thrilled with. The last was Lara Croft. I'm cancelling my Snake Eyes pre-order and will now have nothing on order with Sideshow and don't foresee ordering anything from them again in the near future. The only exception to that would be an AT-AT Driver. I'm more happy with my $20 Hasbro Indy kitbash I did and I'm wishing that I'd skipped the Sideshow Lara in favor of the Tonner Doll version that's coming. Wow, sorry to hear you dislike him so much. I absolutely love this figure, I can't get enough of it. Hopefully this means the Hasbro version will start showing up a little cheaper on eBay. I've been wanting to grab one for I while but I just can't justify $50+ for it. To me it looks just as good as the $100 Sideshow version. 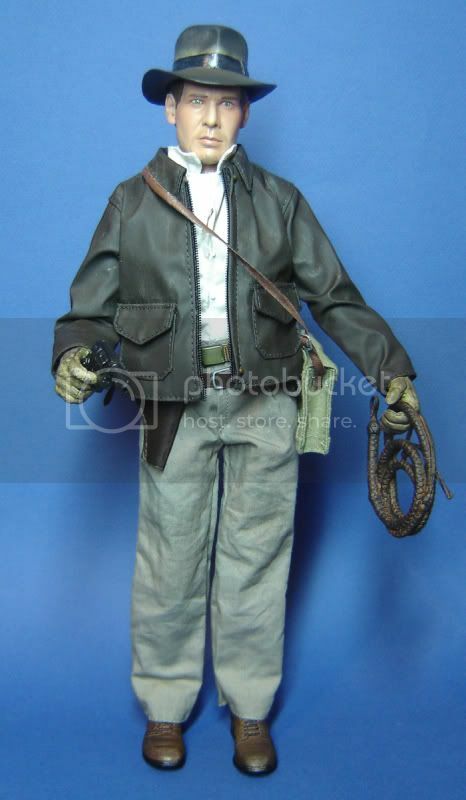 Indiana Jones in German Disguise is up for preorder for $89.99 & ships in the 4th Qtr, 2009. That's a lot of scratch for a relatively basic figure. I wonder if they've worked out the problems of loose joints on the Pro body yet? Just got the Raiders Indy. Love it. It's my first Sideshow product, and it's very nice. The only thing I don't like is that the body looks skinny and a little wimpy. I love these sets from Sideshow other than they're pricey. Still, with all the detail and how they take a 12" figure from just basically a boy's doll to a whole large-scale scene from the movie, I think they're worth the price ultimately. They've not shown love to the Indy license as much as I'd have liked, but this is really a cool addition. This environment is awesome. I'm really loving it. I keep going back to Sideshow's site to look at the photos. 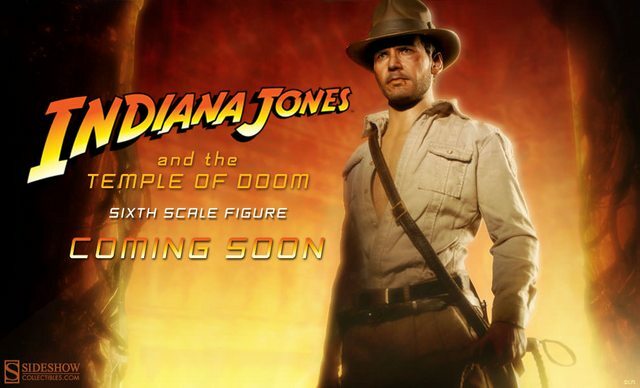 They photographed it with the Hot Toys Indy which I've been on the fence about ordering. I love the look of it, and now with the environment piece? 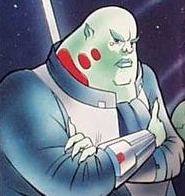 That's nearly as killer as Yoda w/ his hut. 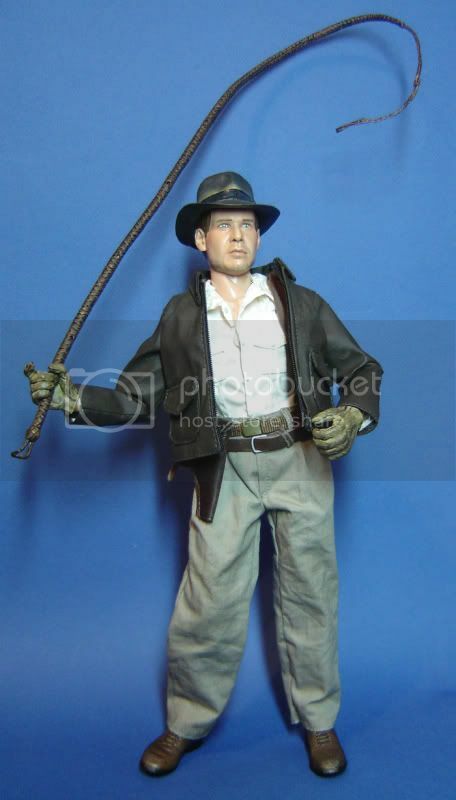 Still, going with the HT Indy and then this piece, you're looking at $450...maybe a little less if you go with Razor's or another site besides Sideshow. One of the best Indy looks from any of the films... His badass ToD pissed off look. I dig it. I can't afford it, but I dig it.